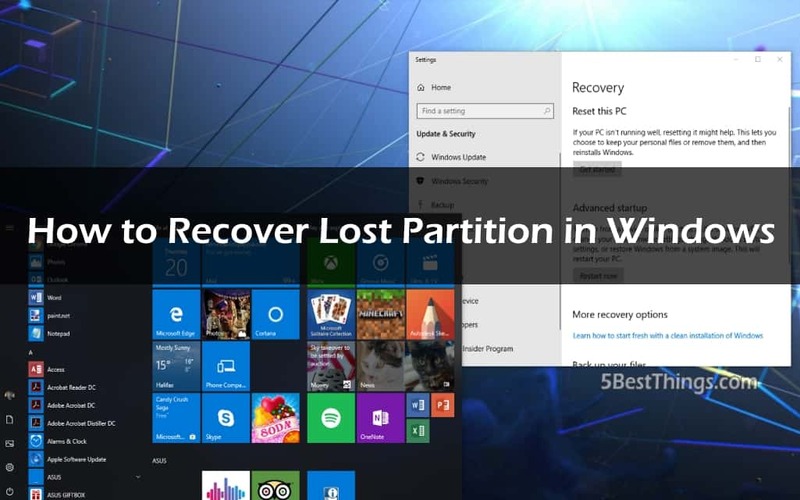 In this post, we will list some ways how partition loss can occur and also share ways to recover lost partition in Windows. Just continue reading. Oftentimes you will that some important files are not placed accordingly. This could be because you named the files differently or it was deleted from your computer. 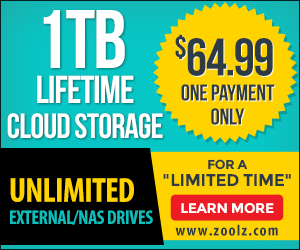 In normal circumstances, there can be one or more partitions to store data. You can create a partition when installing Windows, using the diskpart command line or in Disk Management. During all these stages, you may encounter partition loss, where you will not be able to see certain partitions on your computer. In Disk Management, it will show unallocated space. Sometimes a loss/deletion or corruption of a partition can cause loss of data. Thankfully, with free data recovery software, you can get back your lost/deleted files. Stop using the hard drive immediately. Avoid formatting the hard drive. Stop saving new data to the partition. Is lost partition recoverable in Windows? Many users think that once a partition is lost/delete that’s all. But when you think about the data that is lost due to the lost partition, you may feel like the world has come to an end on your side. Fortunately, it is possible to restore lost/deleted partition using a software. When a partition is deleted from the computer, the system will remove the information pertaining it such as the size, type, file system and the location it was created from the partition table and retains the area that was occupied. This way, you will not be able to see it in the Disk Management or even on the File Explorer. There are numerous methods to recover lost partition in Windows as we’ve shared below. Note that regardless of the reasons for lost partition, you can find a method to recover it. Follow our step-step below to restore your lost partition. First, you will need to look for the lost/deleted partition in Disk Management by pressing WIN+R, then type diskmgmt.msc in the Run window, to access the Disk Management. Once you open Disk Management, you will see the lost partition named Unallocated. Note the size of the partition. You will see a list of all the disks on your computer. Type select disk m and press enter. Note that “m” is the letter representing the disk containing the lost partition. Type Exit and see if the partition is recovered. Stellar Phoenix has been rated as one of the best software when it comes to recovering of lost partition and data. It’s an all-in-one solution that can help you recover everything without any issues. It will Select, Scan and Recover your partition/data with ease. Whether your partition was lost due to power failure, virus infection or disk failure, Stellar Phoenix is there for you. First, you will need to download it and install on your computer. Once you’ve installed it, run it. The first screen that will appear will allow you to Select What to Recover. You can choose everything, documents, emails & folders or Multimedia files and then, click Next. A new screen will appear with “Select Location” select “Can’t Find Drive” and click “Scan”. It will ask you to select a drive where all the connected drives will be listed. Select the drive from where the partition was lost and click search to scan. You can switch to Deep Scan in case the drive and partition are not available. After the scan, you will be taken to a Preview Window where you will find all the recoverable data. Select the partition to be recovered and click the Save dialogue box. Note that partition recovery is not as easy as data recovery, but it’s not a challenging process. There are various ways to recover lost partition securely and easily. The most secure and effective method is to use data recovery software. In this case, we’ve shown how to recover lost partition using Stellar Phoenix, although there are many other solutions out there. Regardless of what caused the loss of partition, you can still restore your data, plus the partition, so, you don’t have to worry.